The South Korean multi-national automobile maker Hyundai India has been ruling the roost with their wonderful and elite fleet of cars across the country since many years now. They have introduced many car models in the Indian car market and most of them have been runaway hits. Hyundai India is now all set to launch their latest improvised version of Hyundai i20 across all its dealerships in the country. The launch is likely to be in the month of April this year. This face-lifted version seems to be very enticing and magnetic with a LED strip on the bumper, which is freshly designed. The car has a sleek body line with an aerodynamic shape as seen in the new Hyundai i20 pictures. Recently, this new version of the hatchback was seen on the roads and it is quite noticeable that the company has put in a lot of efforts on this Hyundai i20 to make it more attractive and polished. According to a Hyundai i20 review, the cabin space is quite good and has the same blue color theme on the dashboard as well the meter lights. It is expected that this new look Hyundai i20 would be in petrol and diesel variants with the diesel engine remaining almost the same. The petrol variant however would house the Kappa 2 engine with VTVT. 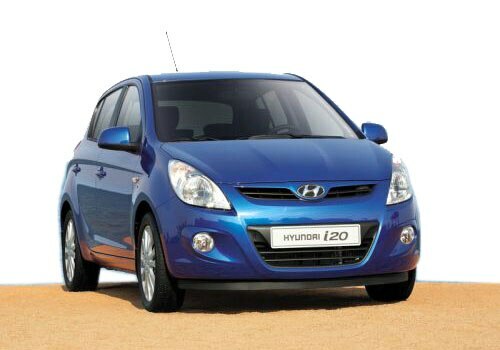 Hyundai i20 price is expected to be tagged a little higher than its predecessor for obvious reasons. A few features which are expected to be added to it are the revamped fog lamps, new design of tyres, an improved front grille and sharper head lamps as well. This car is definitely going to give the competitors in its segment a lot of stiff competition.